An innovative, international technology company that develops and manufactures cutting-edge, reliable, high-quality PC products and value-added professional services, Linovo presents new IdeaPad notebooks to those who are no more interested in ordinary products and search for something special. Lenovo promises comfort while opening the notebook and represents three varieties of the product. Choice of product type mostly depends on the demands of the clients and the consumers. IdeaPad is of three styles. These are: IdeaPad Y510, Mobile versatility that identifies 4 mains specific features. IdeaPad Y510 has an integrated 1.3 megapixel camera and Lenovo's VeriFace™ face recognition software. This is the unique feature that can make face your password and help control access to the notebook by the time the owner of the notebook sits at it. 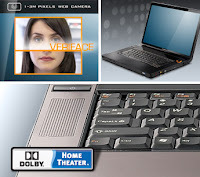 Despite the fact that the IdeaPad Y510 makes the user feel special the Dolby® Home Theater™ premium audio system attracts attention of the segment that is fond of theater-style sound. The product creates excellent entertainment environment with the help of Multimedia Control Center. The other style is IdeaPad Y710, Performance entertainment. This style is focused on the segment who is interested in advanced processing and graphics options for multimedia and gaming. Among the exceptional features of IdeaPad Y710 are 17’’ displays with frameless screen, VeriFace face recognition security, like the IdeaPad Y510 has, Dolby® Home Theater™ audio, and the different feature from the IdeaPad Y510 is that it has Secondary hard drive (optional). The third alternative of the IdeaPad that is coming soon is IdeaPad U110 Ultraportable style. And what are the specifics of this style? Well, as the official site of LENOVO claims the IdeaPad U110 is extremely thin and light for on-the-go people and who can not live without the one and who like to carry the best. Again as the previous two style Ideapads IdeaPad U110 has display with frameless screen but it is 11.1’’, the same VeriFace face recognition security, and Dolby® Home Theater™ audio, though Solid state hard drive (optional). 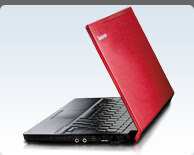 The IdeaPad is directly available at the Lenovo official web site. One should only choose or wait for the third one that will come soon.